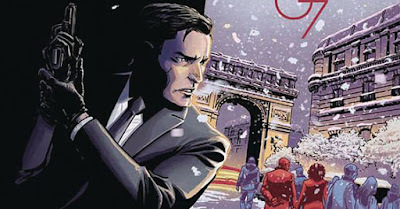 I am a bit proud of mentioning that there will be a new James Bond short story released on November 16 this year by Dynamite Entertainment. The best thing about this short story is that its written and drawn by no other then Ibrahim Mustafa. If you have followed my blog since the beginning you might remember that I found a marvellous drawing of James Bond by Ibrahim (see here) quite early in his career. He later decided to make one drawing of each James Bond film that I showed at my blog (see here). He also provided my blog with a one of 50's drawing of James Bond using his Beretta (see here). 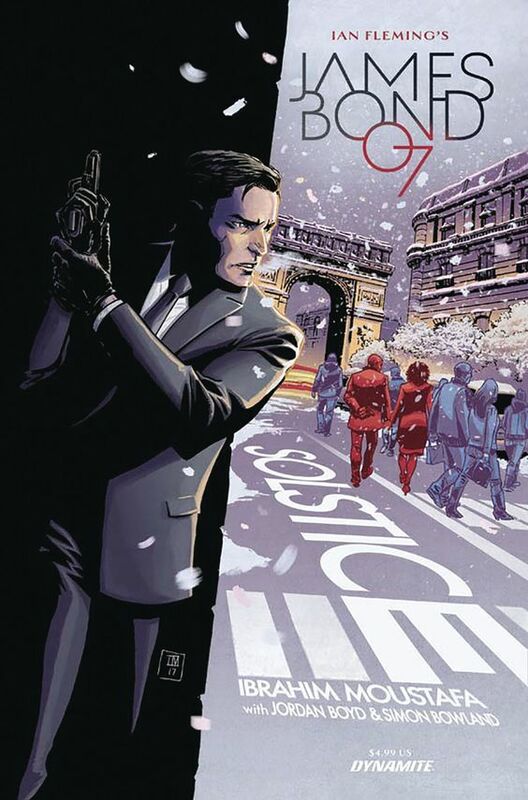 I guess all of his fine work and Bond knowledge later paid off since Dynamite Entertainment then offered him a "one off" opportunity between 30 and 40 pages story called Solstice released this November 16th. Very little around the Solstice story has been released so far: 007 accepts an unofficial mission. 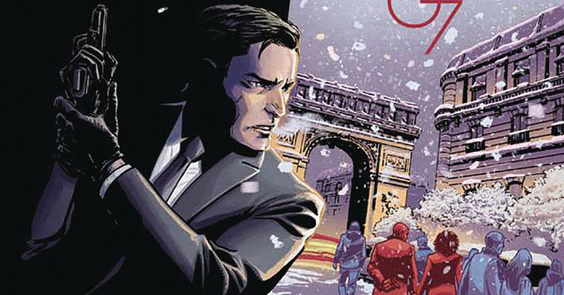 He travels to Paris, in pursuit of a Russian. But is Bond the hunter, or the hunted? The comic can not yet be ordered at Amazon but I will get back on this once it can be ordered. Below is the action packed cover drawn by Ibrahim Mustafa.